Comfortable workbag for men and women. 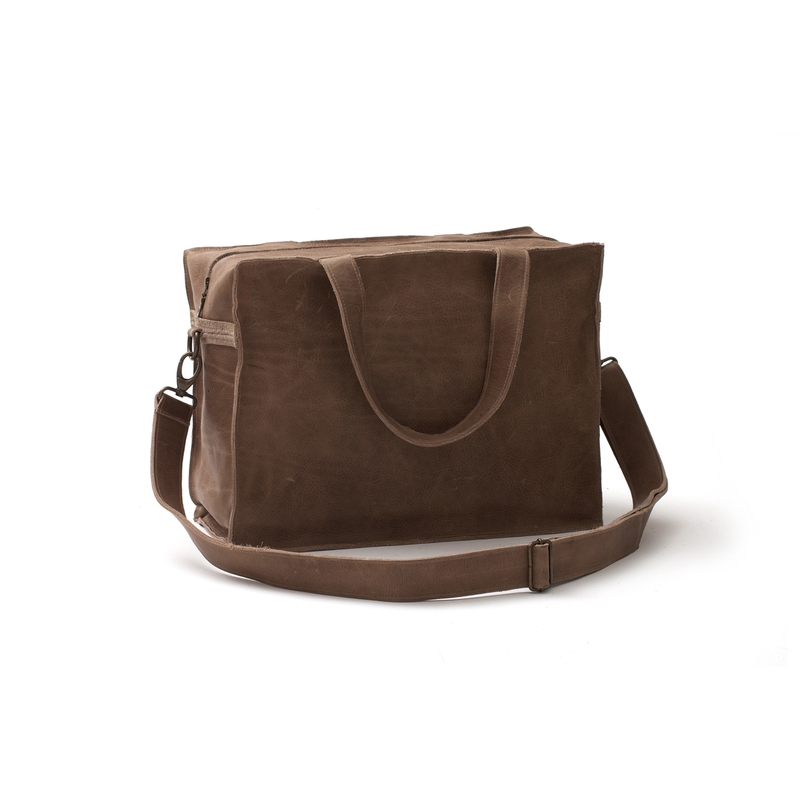 Leather bag with two handles, removable and adjustable shoulder strap and zip fastening on top. Compartment with zip fastening and two small compartments on the inside, with keycord.